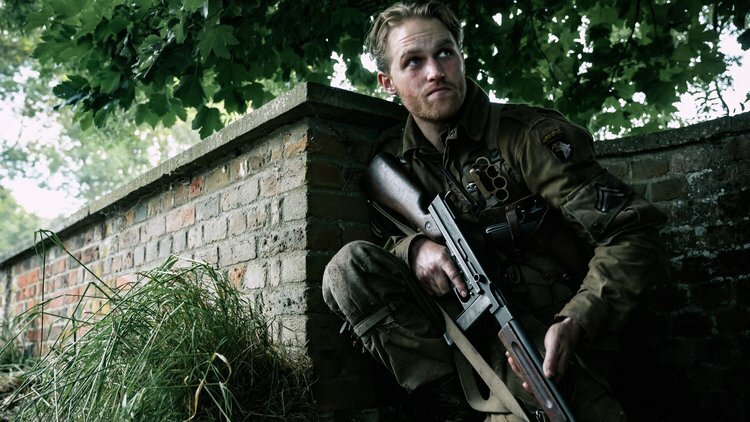 Most of the buzz surrounding sci-fi thriller Overlord is about what the film isn't rather than what it is. When first announced as the latest in J.J. Abrams-produced movies it as assumed to be the latest Cloverfield entry. And why wouldn't people think that considering how things have gone? But after the poor response to The Cloverfield Paradox it was confirmed to be a standalone. All that said,Overlord sure does look like a secret Cloverfield movie. It has a director most people don't know anything about, Julius Avery (Son of a Gun), a vaguely recognizable cast in Jovan Adepo, Wyatt Russell, Pilou Asbæk, Bokeem Woodbine, John Anderson, Iain de Caestecker, John Magaro, and Mathilde Ollivier, and hides its sci-fi trappings under cover of a war movie. The really weird, freaky stuff doesn't start until U.S. soldiers are stuck behind enemy lines where the Nazis are dabbling with supernatural forces. Reason for optimism? The screenplay is by Billy Ray (Shattered Glass) and Mark L. Smith (The Revenant) whose track record speaks for itself. Overlord opens November 9th.